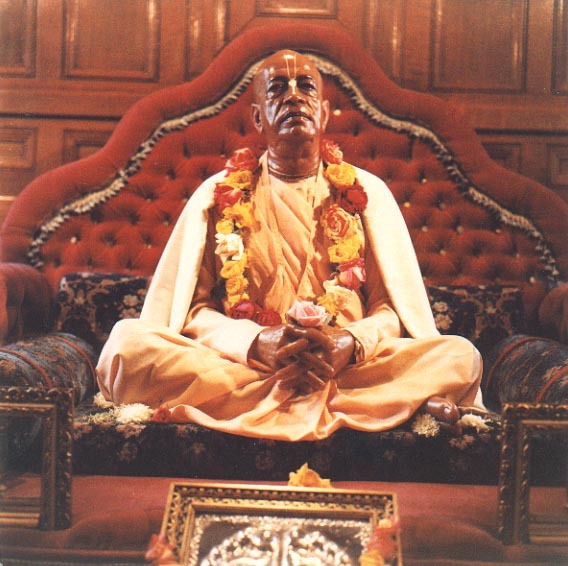 "In the Caitanya-caritamrta by Krsnadasa Kaviraja Gosvami, Lord Caitanya states that it is a fortunate person who comes in contact with a bona fide spiritual master by the grace of Krsna. One who is serious about spiritual life is given by Krsna the intelligence to come in contact with a bona fide spiritual master, and then by the grace of the spiritual master one becomes advanced in Krsna consciousness. In this way the whole jurisdiction of Krsna consciousness is directly under the spiritual energy -- Krsna and the spiritual master. This has nothing to do with the material world."